Accusations and counter-accusations flew thick and fast as BJP candidate in Tezpur parliamentary seat and minister Pallab Lochan Das referred to Congress nominee and former additional chief secretary MGVK Bhanu as “salani maas” (imported fish), drawing sharp criticism from the retired bureaucrat. Das, who holds the portfolios of labour ministry and tea tribes welfare in Assam, claimed that Bhanu does not represent the people of the state as he hailed from Andhra Pradesh. “The candidate who represents Assam in the Parliament must stand for the ethos, sentiments and aspirations of the people of the state. He (Bhanu) is an outsider, a ‘salani maas’ from Andhra Pradesh,” Das asserted. Hitting back at the BJP candidate, Bhanu contended that he has been serving the state since 1985. “The minister (Das) is a young man. I guess he was not born when I became an IAS officer and came to serve the state in various capacities. I forgive him for his comments as he is not aware of my work and contributions,” he retorted. The former bureaucrat, who hails from Navabupalem in West Godavari district of Andhra Pradesh, also said he does not require a certificate from Das to prove his eligibility for contesting the election. Countering Bhanu, Das told reporters later in the day that the retired IAS officer has served under him and he is aware of his contributions. “I was probably not born when he was serving as an IAS officer in Assam. But till his retirement as the additional chief secretary, Bhanu served under me. During his tenure, he addressed me as ‘sir’,” he said on the sidelines of his poll campaign meetings. Joining the verbal swordplay, Assam Finance Minister and North-East Democratic Alliance convener Himanta Biswa Sarma said he was happy to learn that Bhanu has memorized ‘Gunamala, but all that should be kept away from politics. “I need to memorize his name first only then ask me a question. I don’t even know his name. It’s good that he has learned the Mahapurush Srimanta Sankardeva’s ‘Gunamala’, but one should keep it away from politics,” Sarma said, when asked about the former bureaucrat’s chances of winning the polls. Polling in Tezpur, constituting eight Assembly segments, is scheduled for April 11. The seat is currently held by Ram Prasad Sharma, who recently quit the BJP, alleging “neglect by the new intruders”. 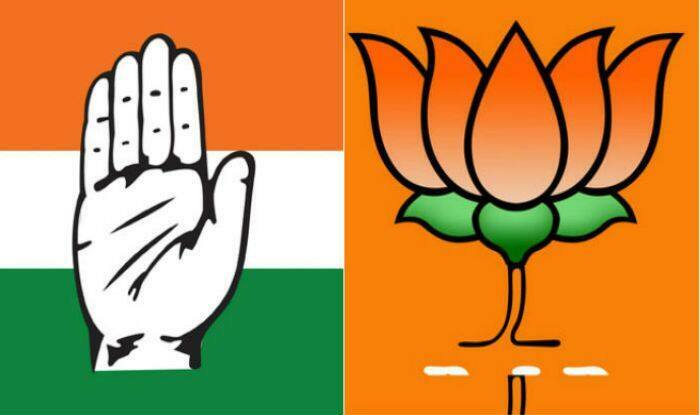 Assam is set to go for three-phase polling in the Lok Sabha elections – on April 11, 18 and 23.